Now entering its ninth year, Integrate is Australia’s premiere AV and Integration trade show. The Panasonic AV Division will once again be among the top exhibitors, presenting the latest in projection, flat panel display, live vision switchers and broadcast quality remote camera products at our Integrate 2017 booth. 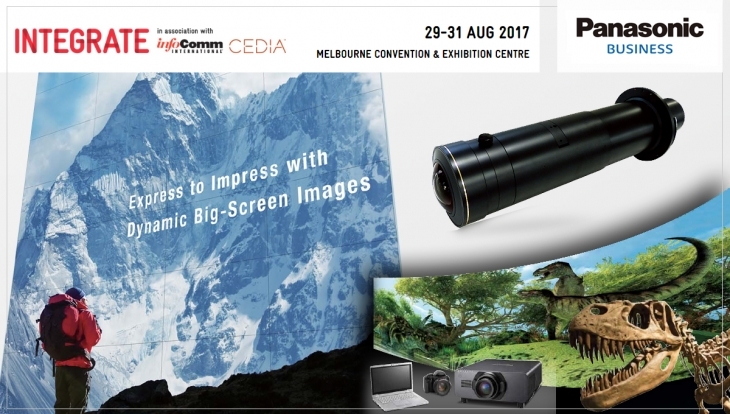 We’ll also be launching exciting new products to the Australian market, including laser projection, 4K interactive and video wall LCD displays and professional video cameras that made a big splash at InfoComm 2017 as part of our immersive AV solutions showcase. Now entering its ninth year, Integrate is Australia’s premiere AV and Integration trade show. The Panasonic AV Division will once again be among the top exhibitors, presenting the latest in projection, flat panel display, live vision switchers and broadcast quality remote camera products at our booth. 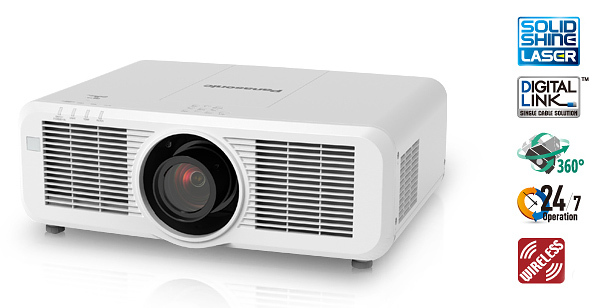 A game-changing addition to Panasonic’s SOLID SHINE Laser projector lineup, the PT-RZ21K Series delivers 20,000 lumens and 20,000:1 contrast ratio in WUXGA (PT-RZ21KU) or SXGA+ (PT-RS20KU) resolution for exceptional picture quality. Incorporating the latest 3-Chip DLP™ technology and proprietary image processing engines assure class-leading color performance, white balance accuracy, motion handling and more. Equipped with an efficient cooling system and new filter-free design, stable and continuous operation during mission critical applications is made possible making the PT-RZ21K Series an ideal projection solution for rental, staging and large venue installations. The revolutionary 2,000 lumen 1-Chip DLP™ Space Player laser projector combines the functions of traditional lighting and video projection to create engaging, projected visuals able to support a wide variety of applications, by highlighting objects with light and moving media. Easy installation, adjustable projection angle and exceptionally long life, makes the Space Player a great solution to support specialty projection for retail signage, museums, restaurants and more. Panasonic’s ET-CUK10 Auto Screen Adjustment software kit for DLP projectors dramatically reduces installation time and cost for multi or curved screen installations, by eliminating the need for grid-by-grid content alignment. By applying the Auto Screen Adjustment function to Geometry Manager Pro software, users can greatly save installation time and costs, and can also set up multiple projectors automatically and simultaneously.